In 2011, one tournament changed the face of esports. At Gamescom in Cologne, Germany, Valve hosted The International, a DOTA 2 tournament with a $1.6 million prize pool. 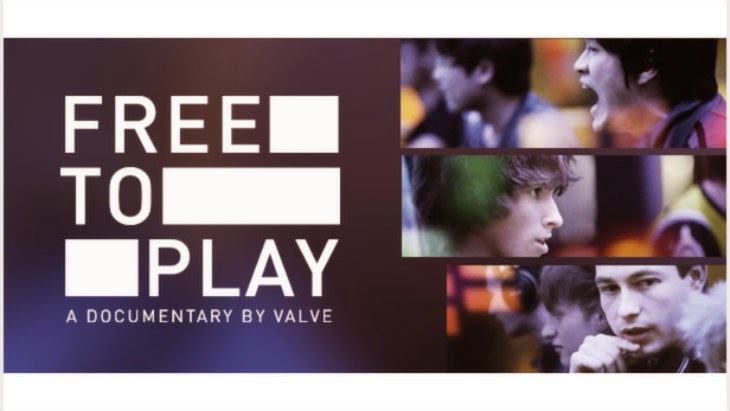 In the weeks leading to the tournament, Valve followed three players from different teams as they prepared for the tournament in what would become "Free to Play," the documentary released yesterday. Numerous reviews have noted that the film does much to "legitimize" professional gaming and e-sports. Most gamers are aware by now that E-Sports have been a solid presence for more than two years. The event covered in the film was the first trumpet call of the unstoppable march of major esports events into the mainstream. More than legitimize esports, Free to Play serves an impressive, understated look into the lives and strife professional players and teams put themselves through, and the dedication and skill required to compete at that level. I'm still an initiate to the world of E-sports. I attended my first event last year, at PAX Prime. There I saw Na'Vi top the World of Tanks Championship. It was an incredible glimpse into the world of esports. A little over 150 people crammed into a large club with computers set up on stage. As the night progressed, it became clear that I was at a sporting event. From shouting crowd, to over dramatic announcers, the atmosphere was that of a miniature stadium. Compared to the packed stands for The International, what I experienced was just a glimmer. "Free To Play" strikes a quiet narrative against the attitudes of the players it follows. Dendi is upbeat, cheerful in the face of a great deal of stress and adversity. Hyhy comes across as a dreamer, talking mostly of things that will be or could be. Fear, the "old hog" and sole US player featured in the film, seems set as out to prove himself to the rest of the competition as a serious threat to their dominance. There is no overt narrator, only the collective voices of the three players and other notable figures in the competitive gaming scene. Their insights into the esports circuit provide much of the early exposition as well as some surprising facts about competitive gaming. I was surprised to learn the real stakes behind competitions of this magnitude for professional teams. Unlike many other sports, a spot on the team does not guarantee pay. Only wins can guarantee pay, and teams that perform poorly often leave with nothing to show for their time. It's a cutthroat world to live in, but one each of these players is passionate about. With some universities offering professional gaming team scholars, perhaps that structure will change soon. Before the International in 2011, esports hadn't really moved outside of Asia as a major presence. Today, it's a quickly growing sport, with some teams outnumbering their countries football (soccer) teams in fans. Arguably, it was that tournament that marked the turning point for competitive gaming. Since then, The International has become a yearly event. The latter half of the film focuses on the competition itself, illustrating the action with remastered shots of the gameplay, including some original clips rendered specifically for the film. The film assumes some familiarity with DOTA, but does make mention of the game's structure for the uninitiated. As someone largely new to the scene, I feel like the film gave me a good primer to get more into esports, something I've been hoping to do since the event last year. "Free to Play" offers a good primer for people unfamiliar with eports, or those that doubt it's legitimacy. It's a beautifully shot window into a rapidly growing profession, though one that still struggle for ground in the US. While I don't feel the film is destined for the same renown as the event it features, "Free To Play" stands as one of the first documentaries to take the idea of competitive gaming as seriously as the people at the keyboards.